Kangana Ranaut’s historical drama Manikarnika: The Queen of Jhansi will release in theatres on 25 January, 2019. At a party hosted by designer Neeta Lulla, the actress spoke about how critics of her upcoming film will “shut their mouths” after they watch it. She shared that she had enjoyed taking up directorial duties and felt it was the result of team work. She said that initially, she found it difficult but later felt that she could do justice as both an actor and director. Manikarnika: The Queen of Jhansi will focus on Rani Laxmibai’s fight against British colonisers for the rightful independence of her country and land. Jisshu Sengupta, Suresh Oberoi, Danny Denzongapa, Atul Kulkarni, Ankita Lokhande, Misti, Unnati Davera, Zeeshan Ayub, Rajeev Kacharo, Nihar Pandya, Kulbhushan Kharbanda and Manish Wadhwa are part of the supporting cast. London: The 62nd London Film Festival which opens on 10 October will show more than 200 films from 77 countries with more than a third of them from women filmmakers, including India’s Manto directed by Nandita Das. In Rajma Chawal Rishi Kapoor gives a charming performance as a newly-widowed father who’s struggling to cope with the unfolding situation. Tumbbad is about the cursed family of a now deserted village while Dar Gai’s film is about a 65-year-old man who cannot take the noisy Mumbai city anymore. The 12-day London Film Festival will close on 21 October with the world premiere of Jon S. Baird’s Stan & Ollie. This funny film starring Steve Coogan and John C, Reilly features a double act of Laurel and Hardy. Some other prominent films at the 2018 festival are The Old Man and the Gun which features Robert Redford as an aging bank robber; Alfonso Cuaron’s Roma —a black and white film which is a tribute to the women of his boyhood. The London Film Festival has featured some of the world’s best movie makers. The first film ever to be shown at the festival was Akira Kurosawa’s Throne of Blood in 1957. In that year alone, it showed Bergman’s The Seventh Seal, Fellini’s Nights of Cabiria and Elia Kazan’s A Face in the Crowd— all classics of world cinema. Batti Gul Meter Chalu, despite featuring a prominent cast comprising Shahid Kapoor, Shraddha Kapoor and Yami Gautam, had a slow start at the box office, earning Rs 6.76 crores on its opening day. The film released alongside Manto, Saamy Square and The Equalizer 2. Trade analyst Girish Johar had predicted that the film would be able to amass Rs 5.5 crores on its first day. “Desi stories always connect well with people. Also, a social issue relating to a common man’s fight against power distribution companies will pull audiences to cinema halls,” Johar had told The Indian Express in a statement, adding that a combination of good cast and director increases the possibility of a positive box office outcome. Meanwhile, Shraddha’s other release, Amar Kaushik’s Stree where the actress features alongside Rajkummar Rao, has been steady at the box office, even after three weeks of its release. He maybe vocal about social issues like water conservation, but Aamir Khan said on 16 September that he has no plans to join politics. The 53-year-old Bollywood actor said he is “scared” of the idea and believes he can be a better influence through his films. “I don’t want to be a politician. I am not meant for that. I am a communicator. I am not interested in politics… I am also scared of politics. Who isn’t? So, I stay away. I am a creative person. Politics is not my thing. I want to entertain people. I feel I will be able to do more as a creative person than as a politician,” Aamir said during a session at NDTV’s special youth conclave ‘YUVA’. The actor has been extensively working towards water crisis for the past three years in Maharashtra through his Paani Foundation, which aims at imparting knowledge at the grassroots level in the state about water conservation and watershed management. Aamir said the issue of water scarcity can be countered only when the “people own the problem”. “They have to be the solution. It has to be a people’s movement… Our approach has always been very inclusive. We want more and more people to join the cause,” he added. The actor believes it is the lifestyle of the people which is responsible for the degradation of the environment. “We need to give up cellphones, TV sets, give up watching movies, computers etc… the lifestyle is such that we are using so many resources. To survive we need to re-devise our lifestyle.” Aamir said it is easy for the public to blame the government for its woes, but things cannot get better without the participation of the citizens. “It’s easy for us to blame the government. Maharashtra government has made a lot of efforts to hit back the problem… As citizens, we should question our government. They are answerable to us. But change only happens when we become part of the solution,” he added. Aamir will next be seen in Thugs of Hindostan, which also features Amitabh Bachchan, Katrina Kaif and Fatima Sana Shaikh. 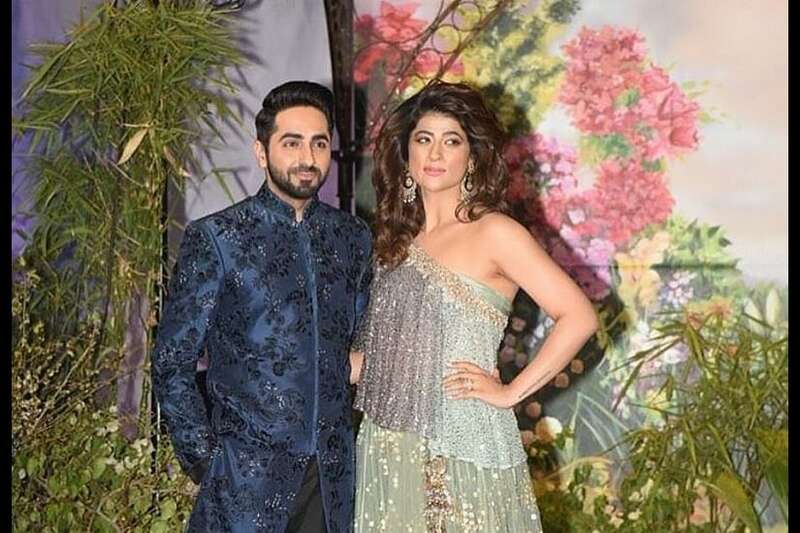 Ayushmann Khurrana’s wife Tahira Kashyap will soon debut as a director with a slice-of-life drama set in Mumbai. Kashyap has previously helmed a short film Toffee, produced by Khurrana and casting director Mukesh Chhabra, according to Hindustan Times. The yet-to-be-titled film will be produced by T Series’ Bhushan Kumar and Ellipsis Entertainment’s Tanuj Garg and Atul Kasbekar. This project will mark the third collaboration between the production houses, after Suresh Triveni’s debut with Tumhari Sulu starring Vidya Balan and more recently, Soumik Sen’s second feature Cheat India with Emraan Hashmi in the lead. The casting for the upcoming film is ongoing and will be announced soon. The makers expect it to go into production in early 2019. Meanwhile, Khurrana will be seen next as a visually impaired pianist in Sriram Raghavan’s (of Badlapur fame) neo-noir thriller Andhadhun. The film also stars Radhika Apte and Tabu in pivotal roles. 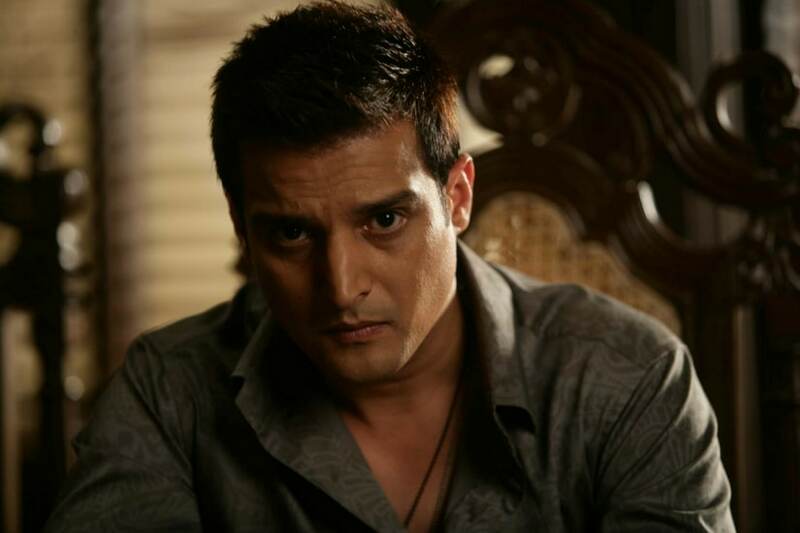 After watching Saheb, Biwi Aur Gangster 3, a friend remarked that she thought Jimmy Sheirgill, who plays the sahib Raja Aditya Pratap Singh, seemed to be “reverse ageing”. Costumed in sculpted bandhagalas and jodhpurs, glowering behind a handlebar mustache, the 47-year-old actor indeed made for a striking royal. It’s interesting that an actor who started of as a “chocolate boy hero” now makes an indelible impact whether as a Rajasthani royal or as a jilted lover in a pathani suit. Often playing the jilted lover (he lost Preity Zinta to Arjun Rampal in Dil Hai Tumhara, Kangana Ranaut to Madhavan in Tanu Weds Manu and Happy ran away from Bagga in Haapy Bhag Jayegi), or the patriarchal, chauvinistic relative who stands in the way of love, or the role of the rough-and-tough goon of small-town India — characters that merit their own spin-off feature — Sheirgill has come a long way from the shiny, urban romantic hero image of his early films. “I have been taking risks from very early in my career. I did a lot of romantic films, like Mohabbatein and Dil Vil Pyar Vyar, early on, but I wanted to go beyond the chocolate hero/lover boy image,” says Sheirgill. “I realized that if I stuck to that slot then my story would not go beyond four years. I had to pick up interesting films like Haasil and Munnnabhai. Although I was a little insecure to begin with, I am so glad I experimented,” says the actor. A growth study of his career would begin with his debut film Maachis (1996) followed by Mohabbatein, Mere Yaar Ki Shaadi Hai, Haasil, Munnabhai MBBS, Yahaan, A Wednesday, both parts of Tanu Weds Manu, Special 26, the Saheb, Biwi Aur Gangster trilogy and Mukkabaaz. Add a couple of Punjabi language films into the mix, such as Dharti and Daana Paani and you will agree that it’s not easy to place Sheirgill, who was born Jasjit Singh Gill, into a single box. Equally, though, there are films that are almost forgotten — Kehta Hai Dil Baar Baar, Silsilay, Victoria No. 203, Fugly and Shorgul among others. The 47-year-old actor has consciously kept things varied to keep alive his own interest and ensure longevity. Twenty-two years later, in 2018 alone, he has a list of releases that traverse various genres. This experimentation and hunger for challenging roles landed him a part in Anurag Kashyap’s Mukkabaaz in which he played the unscrupulous head of the state boxing federation. Sheirgill endured what Kashyap has described as “inconveniences” like piling on the kilos, ageing up, staying awake all night before the shoot to ensure he had bloodshot eyes, etc. to portray the menacing Bhagwandas Mishra effectively. The compliment ‘career-best performance’ gets tossed around so much that it’s in danger of losing it’s meaning. But Varun Dhawan’s performance as the disinterested and surly understudy Danish ‘Dan’ Walia in Shoojit Sircar’s exquisite October is a career-defining work. Decades from now, when Varun’s movie career is being written about, this outing will definitely find a mention. By now, Varun has already proved that he is a consummate Bollywood hero. There is no doubt that he can dance up a storm; take off his shirt and make girls swoon; beat up baddies, and indulge in tomfoolery to deliver laughs. Commercial successes like ABCD, Dhishoom, Judwaa 2 and Humpty Sharma Ki Dulhania have meant that his six years in the business has been smooth sailing. In a bid to expand his repertoire, he first dipped his toe into the off-center film pool with Sriram Raghavan’s twisted revenge thriller, Badlapur. Having only played versions of the easy-breezy ‘hero’ until this point, Varun made everyone sit up with his performance as Raghu, the everyman-turned-vigilante, opposite the always-fantastic Nawazuddin Siddiqui. As the character ages, the transformation is not merely physical. Varun imbued the older Raghu with melancholy and sadness without losing the rage in his eyes. 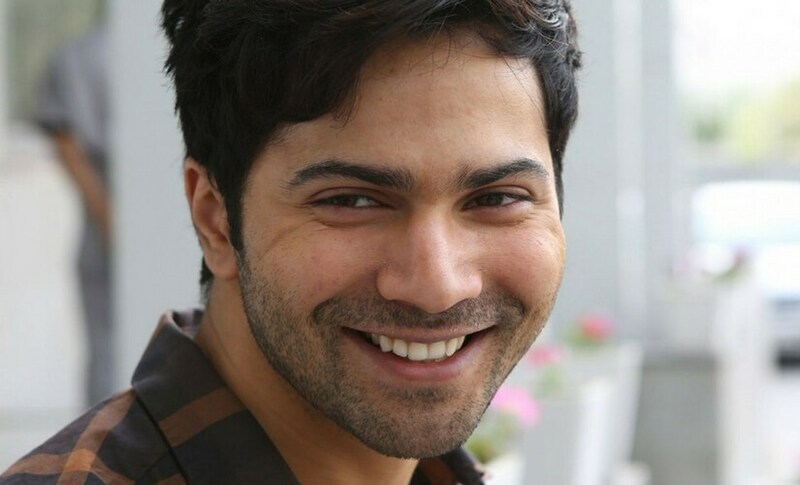 Although Badlapur had a mixed critical reception due to a weak final act, it was universally regarded as a win for Varun. If Badlapur was a step in the right direction, his latest release October cements his credibility as a performer. When we first meet Dan, he is a disinterested, faceless hotel employee changing sheets, polishing silver and killing mosquitoes. He lives life on autopilot. He hates what he does but does it nevertheless because he has no other choice. He is a confusing mix of insolence and earnestness. When Dan slips up, his boss tells him to be more like Shiuli, a fellow trainee who he barely knows. Unlike Dan, she is the perfect employee – hardworking and focused. A freak accident renders her comatose and inextricably links their futures. This is a story of love and loss that takes it’s time unfolding. Working from a script by Juhi Chaturvedi, a longtime collaborator of Shoojit, October is the kind of film you won’t be able to stop thinking about for a long time. Big shout-out also to Shantanu Moitra’s unflashy score and Avik Mukhopadhayay’s evocative cinematography. But it’s a never-better Varun, in a role that’s completely stripped of all filmi affectations, who gives the film a center of gravity. Hunched over and shuffling, Dan is the most ‘regular’ character the actor has played till date. He is so ordinary that he goes unnoticed as he waits tables, chops vegetables and replenishes toiletries. There is a stillness in how Varun plays Dan that makes his outing as Raghu in Badlapur seem flashy. His coming of age is just as undramatic. There is no explanation for why Dan is overwhelmed by Shiuli’s accident and why he can’t tear himself away from her. Even as her family rallies around, trying to make sense of the tragedy, Dan is just always around. Somewhere in the background, he is always present. One of the unwritten rules of being a Bollywood hero is to never get lost in the background. That Varun not only picked a character so understated this early in his career, but also delivered in spades is a reason to celebrate. Mumbai: Writer-producer Twinkle Khanna has been invited to speak at The Oxford Union, the world’s most prestigious debating society. The 43-year-old actor-turned-author will address the students of the Oxford University on Thursday, where she will also showcase her upcoming production, Padman. 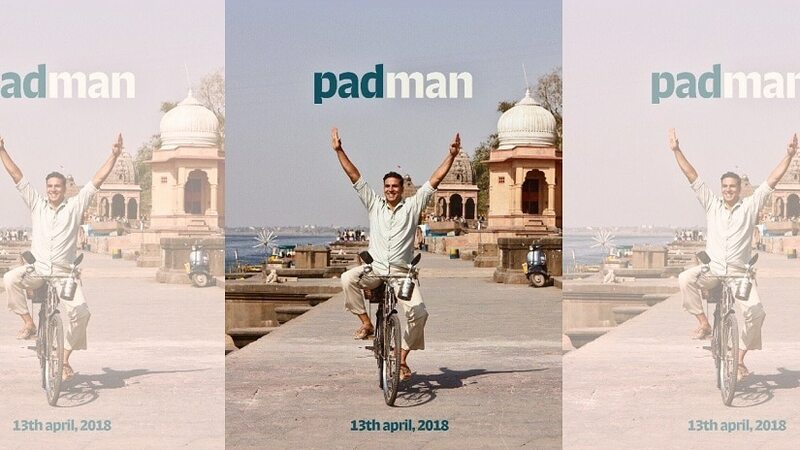 Based on the life of social entrepreneur and activist Arunachalam Muruganantham, who revolutionised sanitary hygiene in rural India 20 years ago, the film stars Twinkle’s husband actor Akshay Kumar in the title role. Padman will be the first Indian film to be screened at The Oxford Union. Also featuring Radhika Apte and Sonam Kapoor, the film opens worldwide on 25 January.